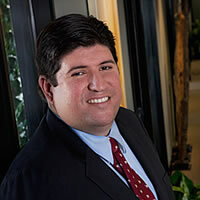 Dominic Persechini has over thirteen years of consulting experience, advising clients on economic, financial, and business issues related to commercial litigation. His work has involved the calculation of damages resulting from intellectual property infringement or misappropriation as well as from complex business disputes. Mr. Persechini has counseled clients in matters of patent infringement, trade secret misappropriation, trademark infringement, breach of contract, wage and hour violations, and antitrust monopolization. Additionally, he’s consulted clients in many industries, such as computer software, biotechnology, telecommunications, entertainment, banking, insurance, energy exploration, and consumer products.